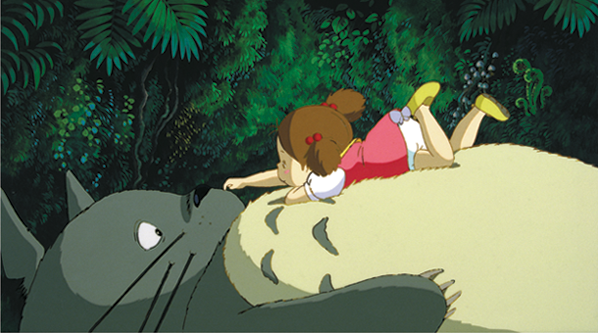 It's thirty years since Studio Ghibli's most beloved film My Neighbour Totoro first arrived in Japanese cinemas. This anniversary has been marked in the US with a Fathom Events rerelease (as part of Ghibli Fest 2018) and upcoming special anniversary Blu-Ray. It was not a smash-hit on original release, but in the three decades since the big fuzzy fella first shuffled onto screens he has gone on to be one of the most iconic and enduring creations to ever come out of Japan. His cultural impact has stretched far outside his homeland's borders, even as far as making an appearance in Pixar's Toy Story 3 and being referenced in The Simpsons, Bob's Burgers and South Park. While many anime, like many western productions, are essentially made to sell toys to children, this was never the intention with Totoro. It's true that Totoro is Ghibli's most merchandised character, but he was not cynically created by some marketing cabal. The mountains of Totoro merchandise that exists- from plushies and T-shirts to life-size sofas were a response to demand from the audience,. In fact, Totoro merchandise didn't even begin to show up until about two years after the film's release. Today the profits from the merchandise are probably enough to keep Ghibli afloat on their own, but this was not always the case. When production began, Ghibli was still a young studio, with only Laputa: Castle In the Sky under its belt. Miyazaki's name was not yet big enough that would be guaranteed to sell tickets, and his gentle, nostalgic film was considered a financial gamble. It was for that reason that it was released as a double-bill with Isao Takahata's Grave Of Fireflies. In retrospect these two films could barely be more different- it's almost as if Steven Spielberg has released Schindler's List and Jurassic Park as a double-feature. Yet, Grave of Fireflies was an adaptation of a well-known book, and was seen to have educational value, and was therefore seen as the more high profile of the two. Thirty years later it's a very different story, but Fireflies remains a powerful work its own right. Totoro was born out of a concept Miyazaki was working on back in the 70's for a children's book but which never came to fruition. 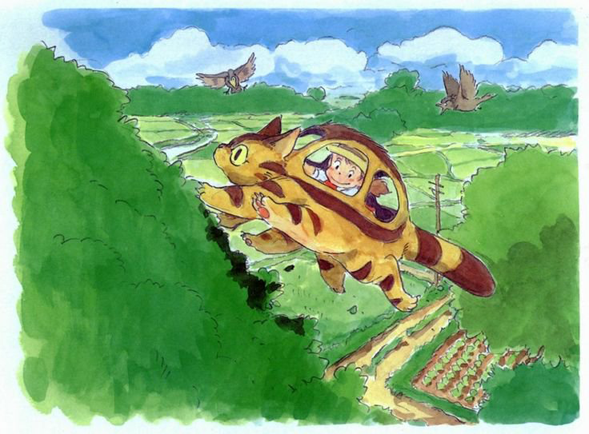 This Concept art can be seen in Viz's gorgeous book The Art of My Neighbour Totoro, which is a must-own for any serious. Ghibli fan. 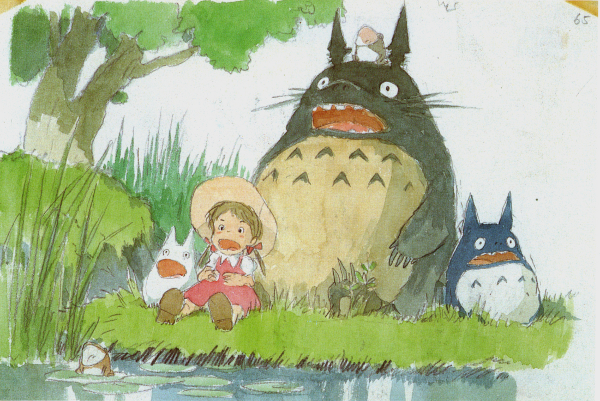 Originally it focussed on a single little girl, but the different sized Totoros themselves appeared much as they did in the final film. Years later, Miyazaki would dust off his old idea and turn it into the form that we know and love. He combined it with autobiographical elements- Miyazaki's mother suffered from a long-term illness much as Satsuki and Mei's does- to make the film even more emotionally effective. Miyazaki also wanted to give modern Japanese (city) children a glimpse of a childhood they never had- of a simpler time before Japan came the industrialized urbanised country it is today. This also adds to the appeal for adult audiences, who feel transported back to the innocence of childhood when they watch it. My Neighbour Totoro has a special place in Japanese people's hearts. Whether as a childhood favourite, or a discovery later in life, it appeals to a wide audience. Tickets to the Ghibli museum, complete with replica Catbus, and a rare chance to see the short film Mei and the Kittenbus, command a long waiting list. 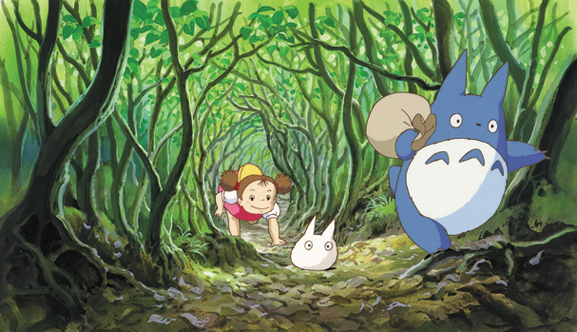 A charity has even been set up in the big guy's name- the Totoro Forest Foundation- to preserve forest habitat in Japan. A Ghibli theme-park is set to open in Japan in 2022, with a Totoro themed area. It took years for Totoro to reach the English language speaking world, but even before then it was influencing the animation community. 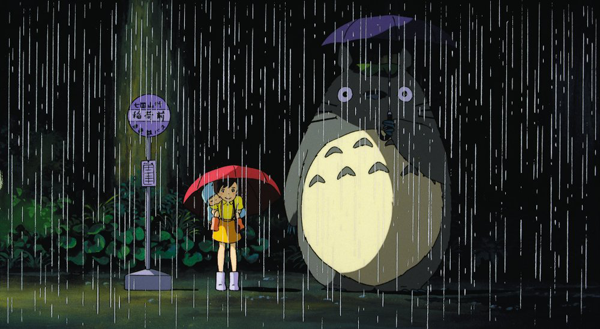 It has been said that when Pixar animators hit a bump in the road during a production, they organise a screening of Totoro to inspire themselves. In 2008 animators and artists from Pixar, DreamWorks and elsewhere teamed up to contribute to a very special art project (and art-book) in aid of the Foundation. One of the few Ghibli films to be released before they signed the Disney distribution deal, My Neighbour Totoro has been dubbed into English twice. The current version is a typically polished Disney production featuring a very young Dakota Fanning and her sister Elle in the lead (human) roles, but there was also a much earlier version. Produced for screening on Japan Air Lines by the late Carl Macek of Streamline Pictures/ Robotech fame, and later released on home video, it was this version that found it's way on to UK Satellite TV sometime in the nineties where I would first encounter it. I was given a video of a recording of both it and Porco Rosso by a family friend, and my lifelong love of Studio Ghibli was born. This anniversary year is the perfect chance for viewers the world over to catch up with everyone's favourite giant fuzzball. If you've never seen it before then you're in for a treat: it's one of the most perfectly made children's films of all time. If you ever get the chance to catch it a cinema, then don't miss the chance to see it on the big screen, the way it was meant to be seen. Happy Birthday Totoro!